MADE BY A MAJOR US GOVERNMENT CONTRACTOR. 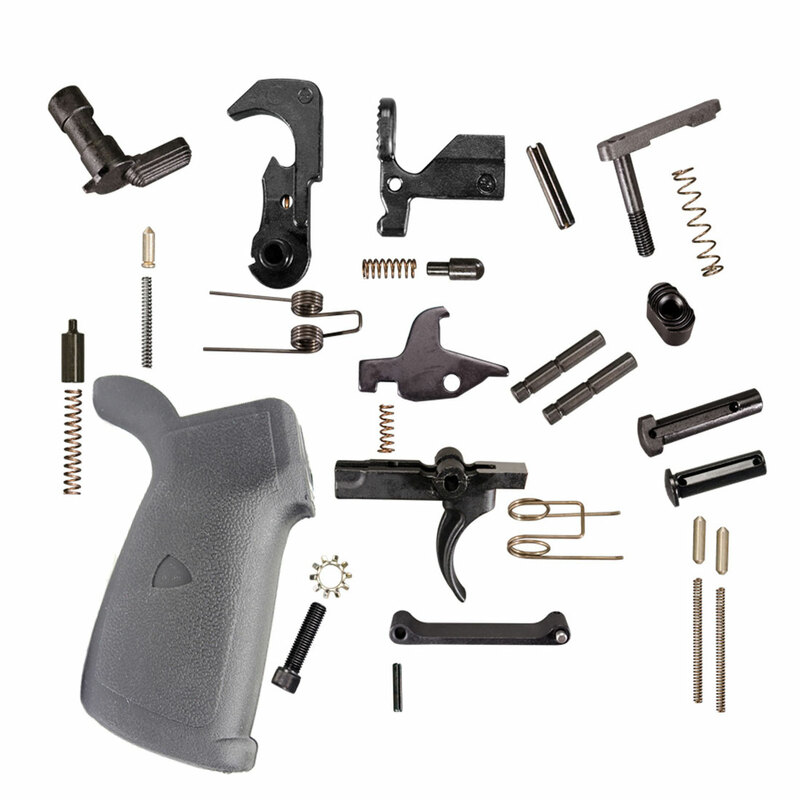 This premium AR-15 lower parts kit includes all the small parts needed to complete your lower. You will just need a stock kit and an upper. This kit includes a standard right hand safety selector. All Parts Are Mil Spec Quality!